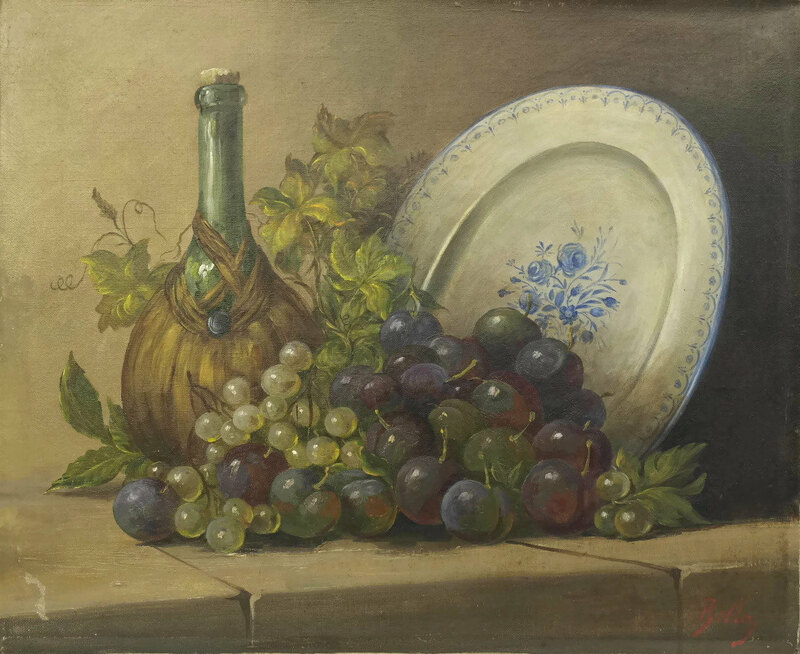 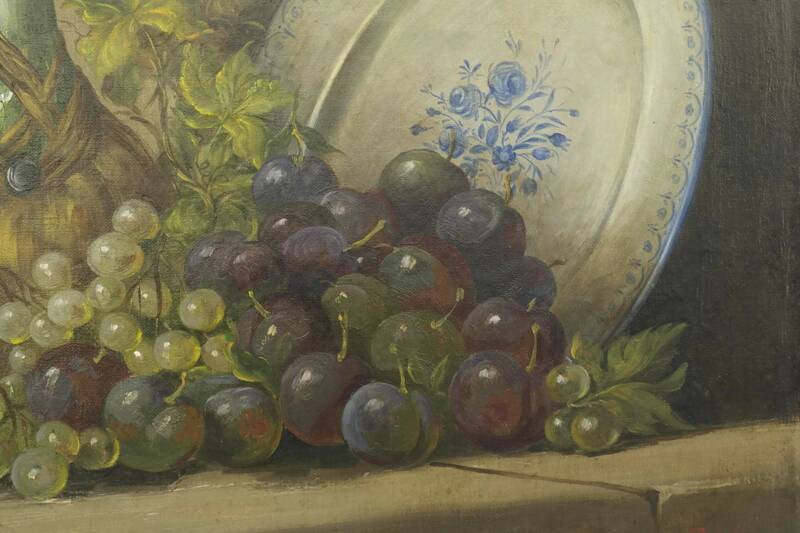 Victorian Grape Still Life Painting by Belly. 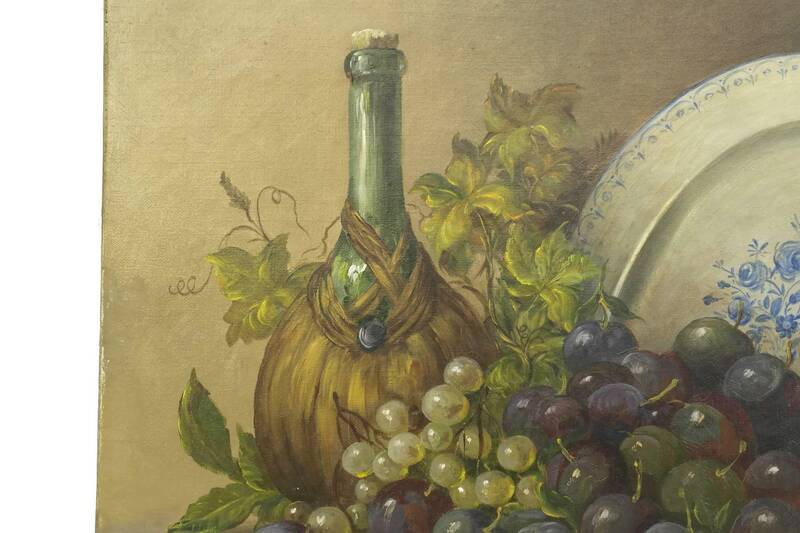 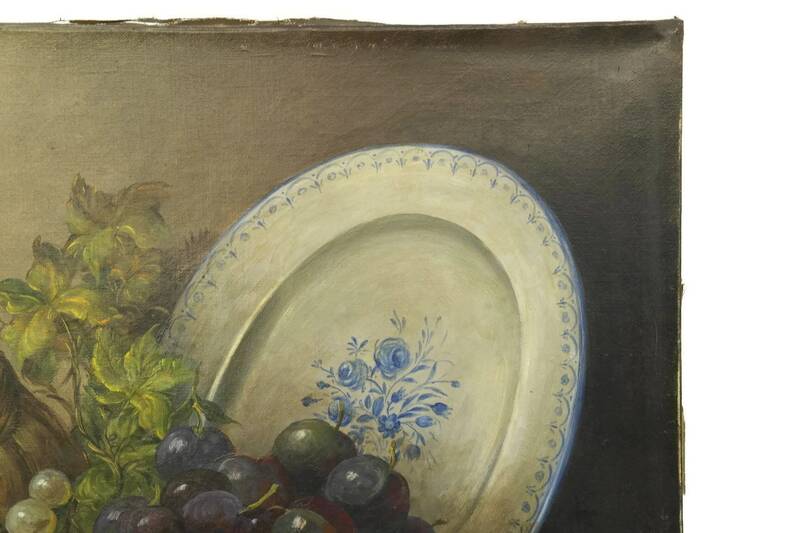 A beautiful Victorian still life painting of a grapes, wine bottle and a large blue and white ceramic plate. 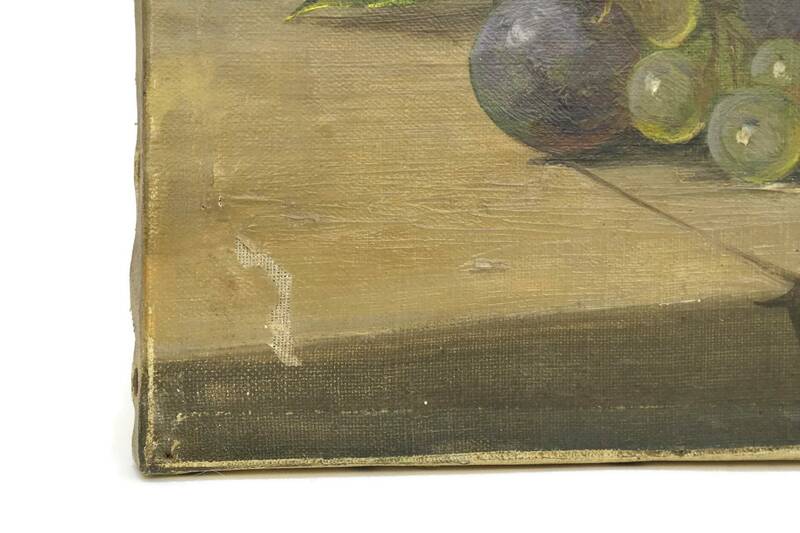 The original French art dates to the 19th century and has been painted in oils on stretched canvas. 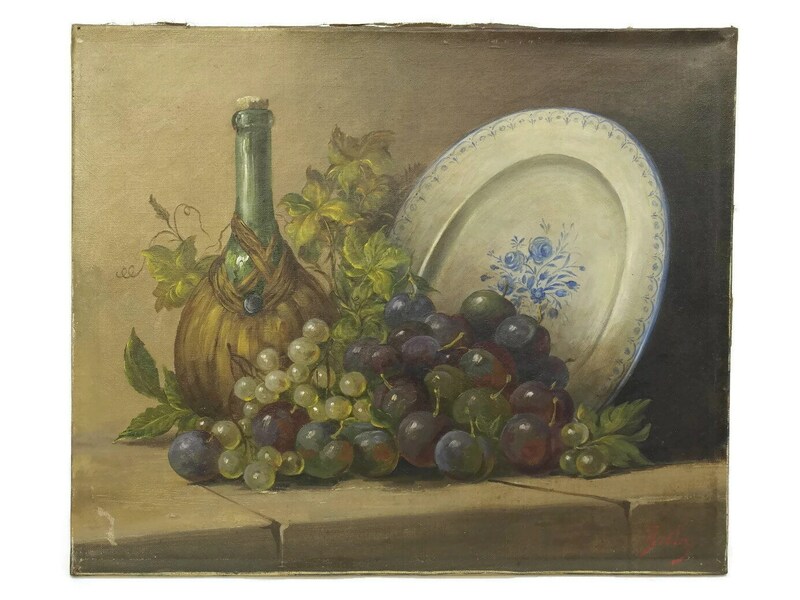 The large painting has been created in a realist style and features a rich palette of shades. 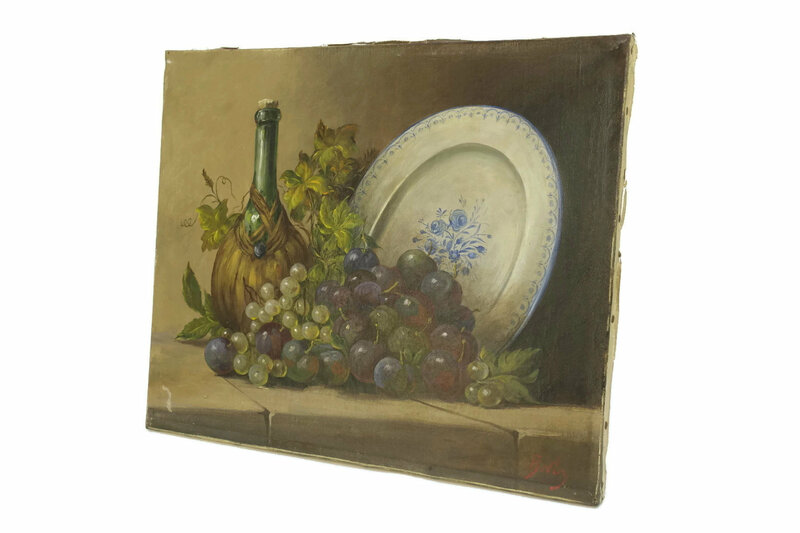 It has been signed by the artist BELLY who is renowned for his still life art. 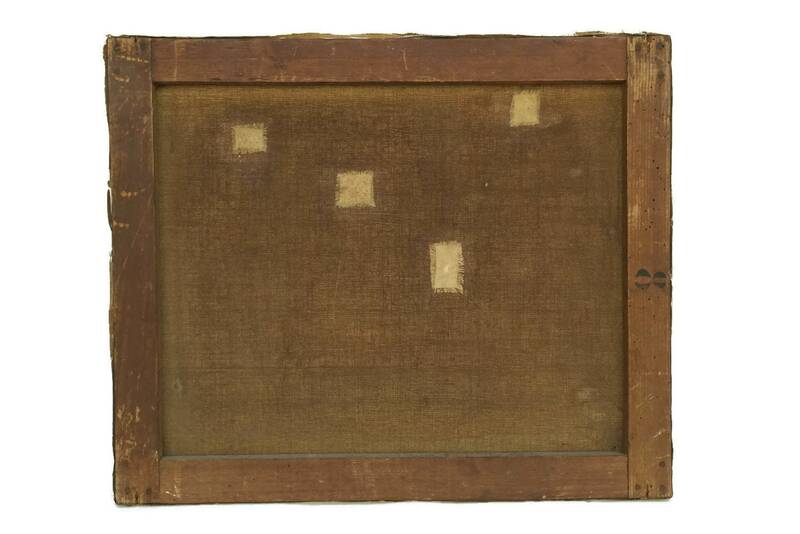 (46 cm x 38 cm). 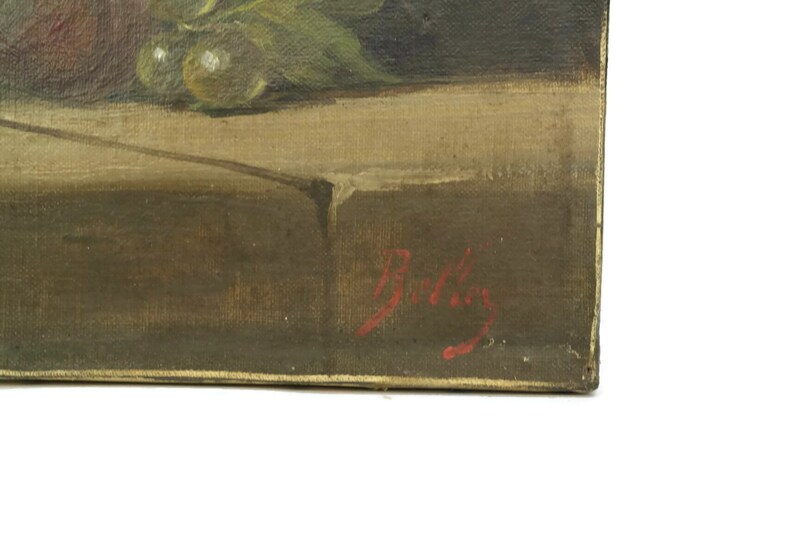 The painting is in good antique condition with some light signs of age. 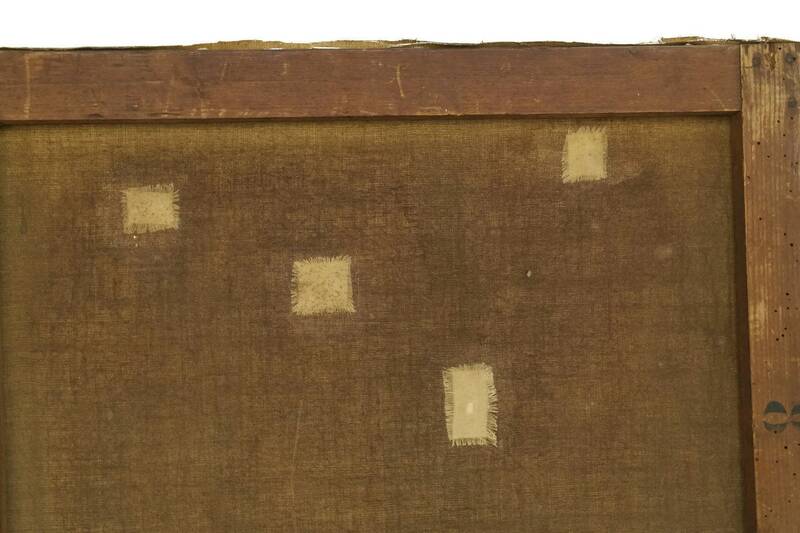 There are flakes to the painted surface on the lower left corner and restoration the canvas on the reverse side.